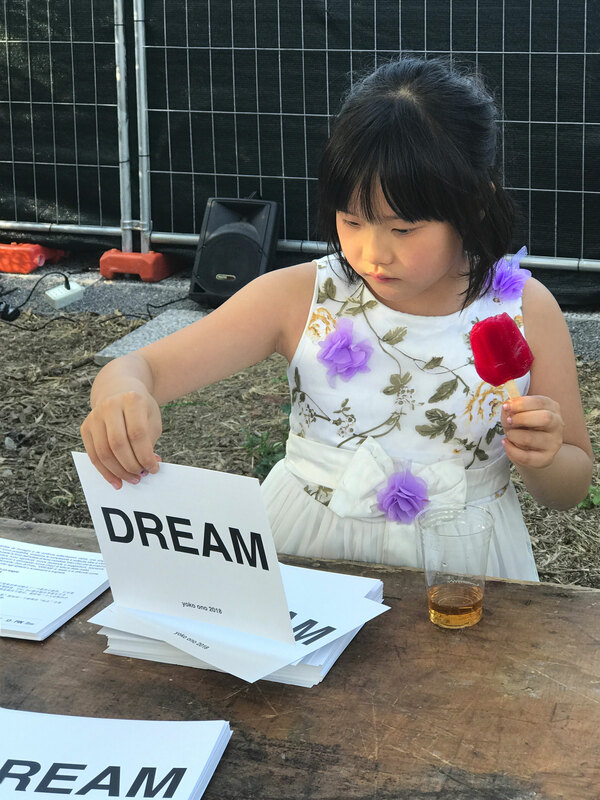 Fondazione Bonotto and Centre Pecci present the project DREAM by Yoko Ono at Macrolotto Zero in Prato from June 1st to December 31, 2018. 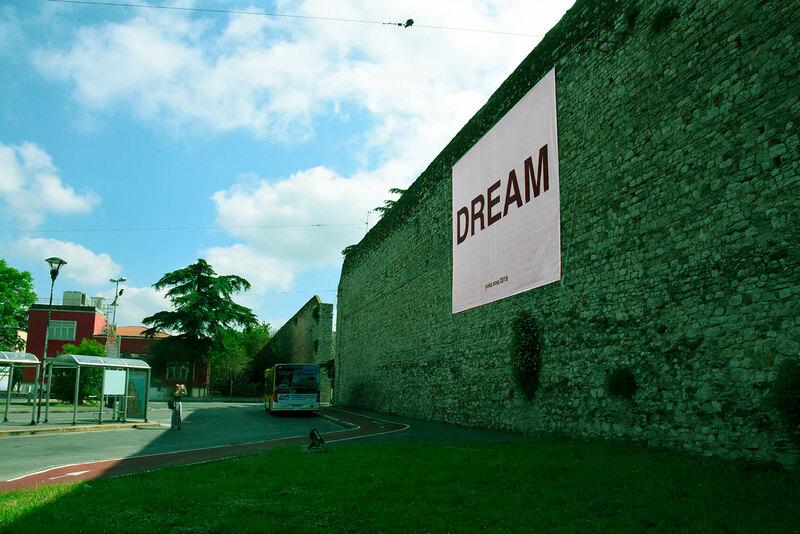 Dotted around the entire Macrolotto Zeroarea, starting with the ancient walls of Via Cavour and Via Curtatone up to Prato Borgonuovo station and passing down Via Filzi and Via Pistoiese, the word DREAM is positioned repeatedly along the walls as "sign" of the quarter, or an invitation to the residents and passers-by to dream. 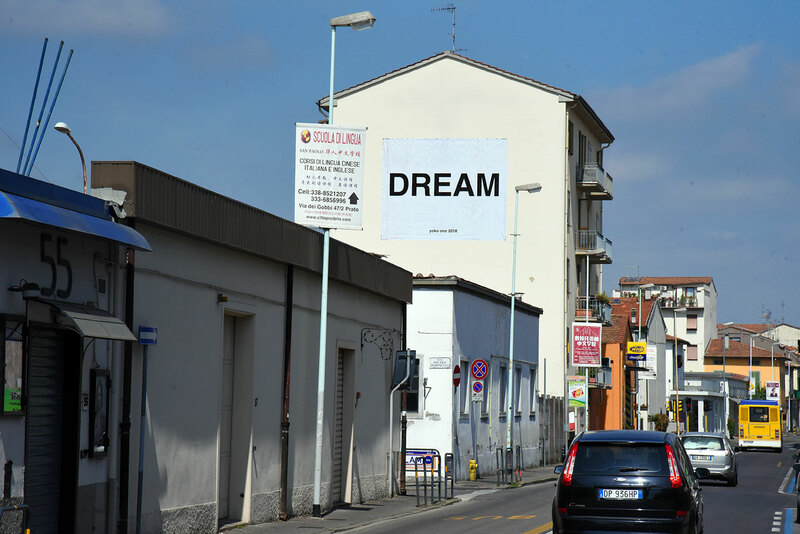 In an urban context bombarded with images and continuous visual stimuli, a single, simple word scattered about in populated areas such as the Macrolotto Zero district in Prato indicates new possibilities, summarizes the complexity and solicits ideas and visions. Free of logos and sponsors, apart from the artist 's name, the word DREAM suggests a new system of meanings and evokes questions and suggestions, leaving space for everyone’s interpretations, stimulating new ways of understanding reality.